Even at ISO3200 the 1DmkIII can produce a good result with a little post processing. But the bird should fill the frame to get more pixels to work with, as in this case when a male Great Hornbill came flying straight towards me and very low. When he saw me he turned away and I captured the moment. 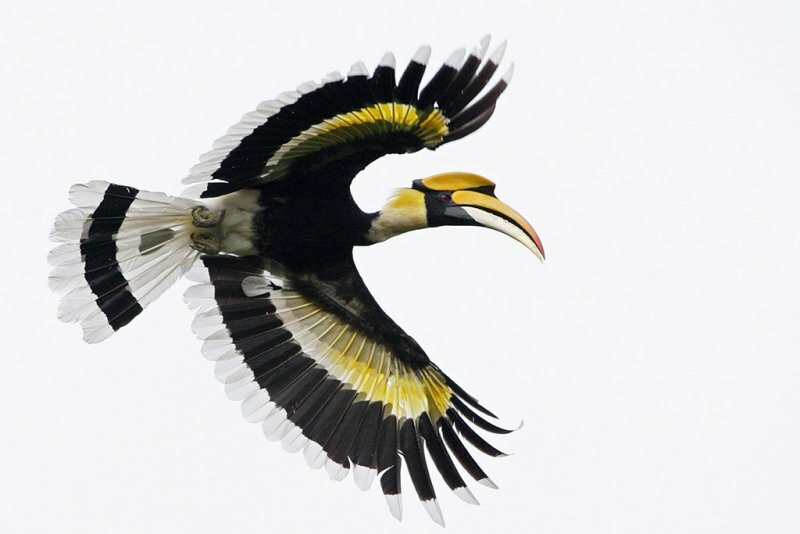 Many Hornbills were out flying late in this evening, some didn't even bother about us and came just a few meters above. Almost like being part of a fairy tale. Very impressive bird. I saw and heard them 15 years ago in southern India.